Buying appliances for your home is a task that everyone has to perform at some point in time. It is important that the task be approached in an organized manner so that the right appliances are procured, which last you long and serve you well. Doing laundry is an essential chore in the house. 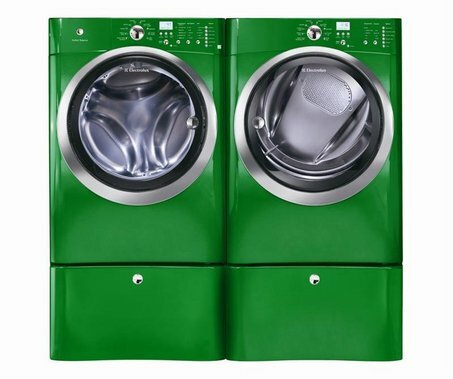 If you are looking to get a washer and dryer, like any other purchase, you need to see the pros and cons of all the available options and select the one that suits your particular needs the most. It is a pretty simple task and a bit of attention to detail should help you in buying the right one. Every household has its own needs when it comes to doing laundry. Some do it once a week and need a large washer and dryer to ensure that the whole weekend is not spend washing clothes while others are keener to do it more than once with smaller loads. The capacity needed will depend on these habits and you should take them into account before making a purchase. Do have a budget in mind as the variety of the prices of washers and dryers can be mind boggling. Obviously the more expensive the appliance, the better it is likely to serve you. However, knowing what you can afford with ease is very important indeed and should be considered when making the purchase. Also keep in view that each washer and dryer will have its own needs of energy consumption. Make sure that you choose one that will not significantly increase your electricity bill. You must also ensure that the washer does not waste water in the washing process and choose the one that will use the least amount of water. You can read the reviews for all the options that match your needs. The internet can be a more than useful resource in this regard. See what the users tell you about the various machines and their pros and cons, to ensure that you know about all these options in detail. You then need to compare the prices that are offered by various stores both in the market as well as online. This will allow you a chance to catch the best price available for your desired option. You may get a good price in case a sale is being offered but you obviously will need to look hard.